Invented by a mum and inspired by the joy babies get from pulling out wet wipes, the multi-award-winning Wondercube is packed with tactile textile squares that children can pull apart, stick back together and rearrange in any order. A choice of soft organic cotton cubes or beautifully crafted wooden cubes. Ideal from birth upwards and with extra add-on fillings, the Wondercube is designed to grow with your child. 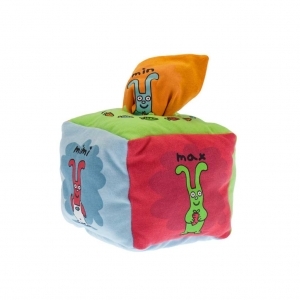 Made from organic cotton jersey, this printed Wondercube is exceptionally soft and tactile. Machine washable, it comes with a five piece filling set of 'Wonder' characters. 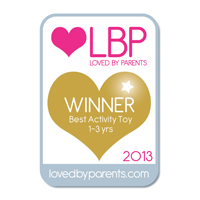 Each touchy feely square makes a sound - bell, squeaker, rattle or crinkly paper. It is presented in a stylish eco-friendly display box. 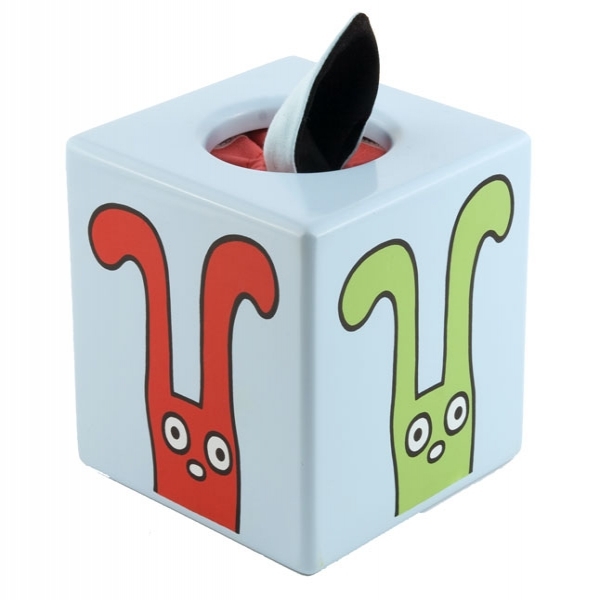 With gently curved edges and non-toxic paint, this striking wooden Wondercube is safe for the youngest of hands but also appeals to older children. It comes with a beautiful six piece appliquéd shape set of fillings made from organic cotton jersey. Circle, square, triangle, diamond, star and pentagon. Lower case letters printed in black on coloured organic cotton jersey. 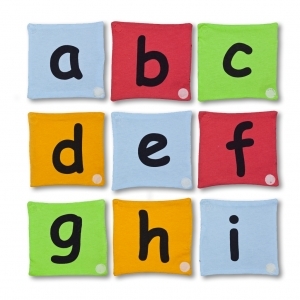 Ideal for teaching children to spell or play word games. Available as a complete alphabet set or individual letters. Machine washable. Lovely as an add-on personalised gift spelling a child's name. Simply select the letter you require and add to the basket, come back to add more letters. When you checkout, if you tell us the child's name we will place the letters in the correct order inside the cube. 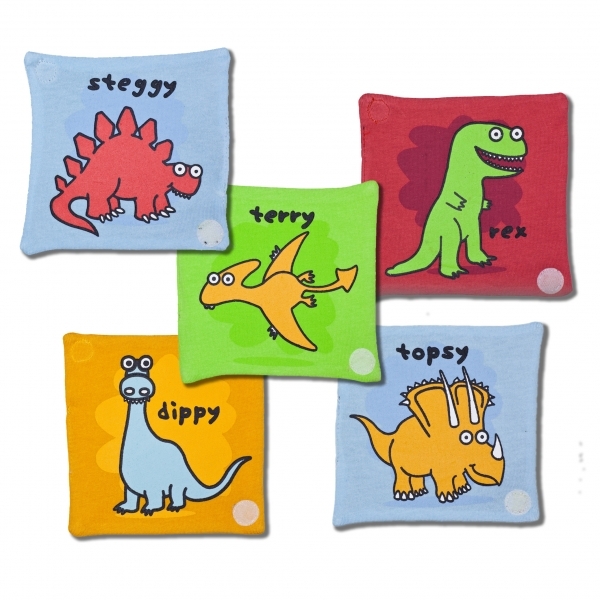 Always popular with kids, this five piece dinosaur set is great fun. Machine washable organic cotton jersey. There's 'Steggy' the Stegosaurus, 'Dippy' the Diplodocus, 'Terry' the Pterodactyl, 'Topsy' the Tricerotops and last but not least 'Rex' the T-Rex. 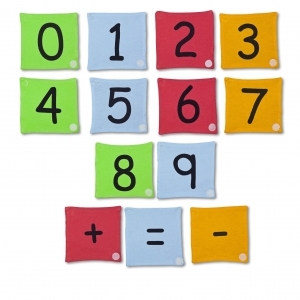 A great way to learn numbers, sequencing and sums. Clear black font on a range of different coloured squares of organic cotton jersey. Machine washable. Bring the classic tale of Goldilocks to life with this 12 piece set and story book. As you read the story your child can follow along with the sequenced squares. Machine washable organic cotton and a story booklet printed on FSC paper.